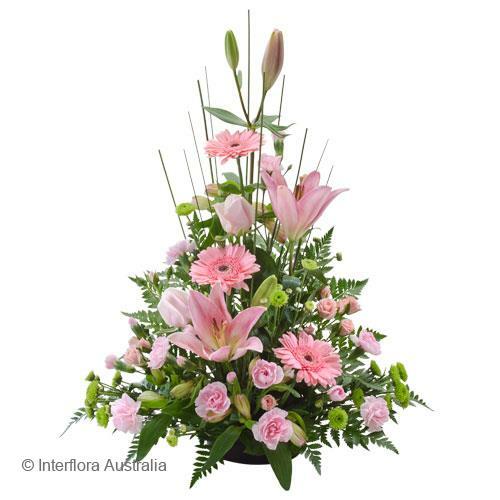 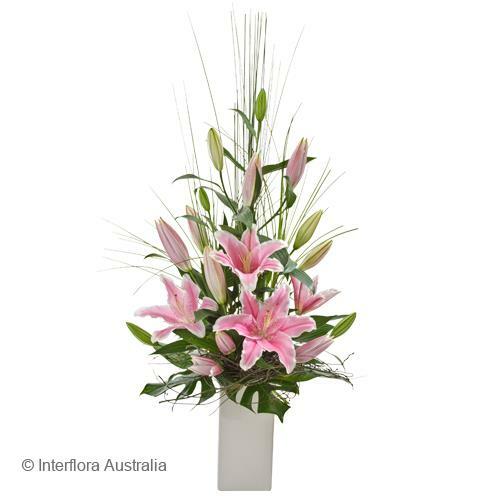 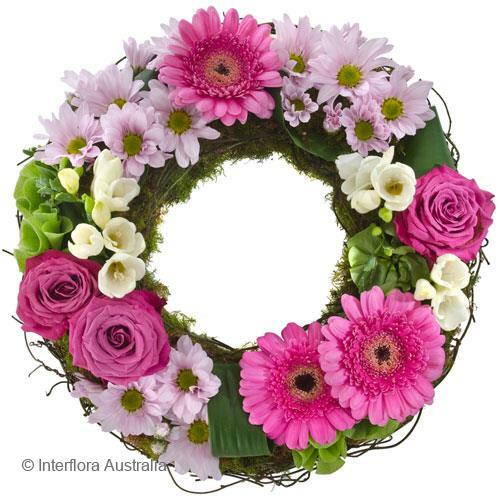 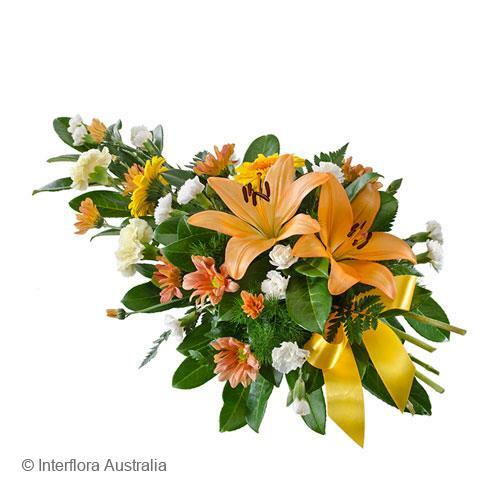 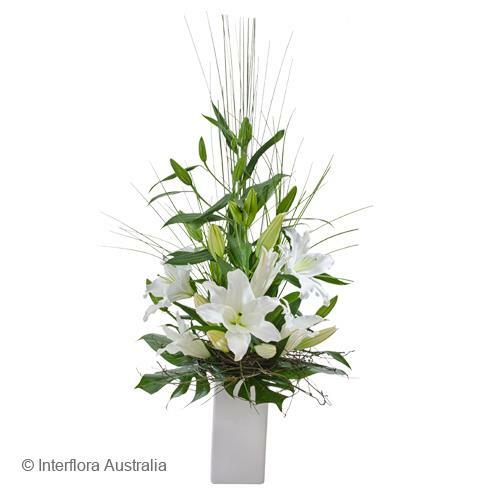 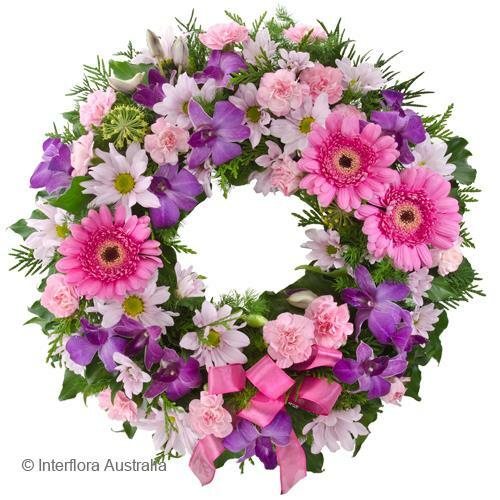 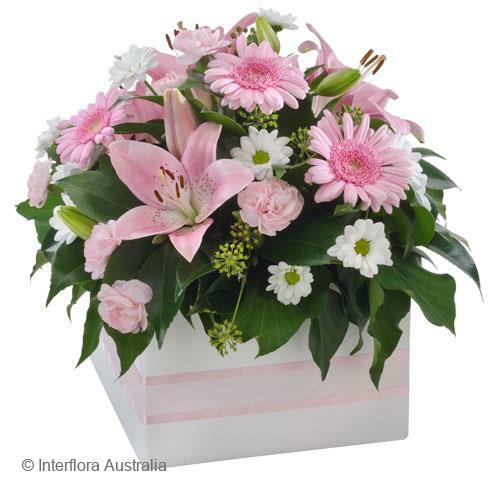 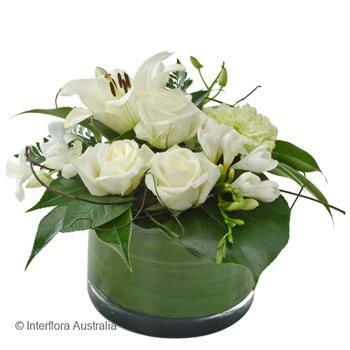 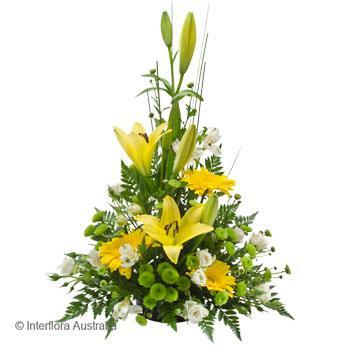 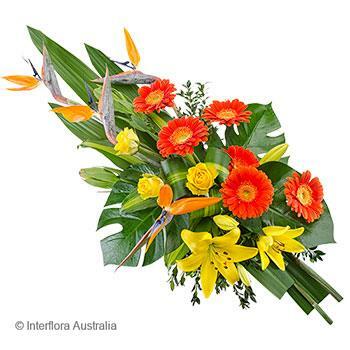 A floral tribute is a lasting way to express how you feel and to commemorate the special personal that has been lost or console their friends and family. 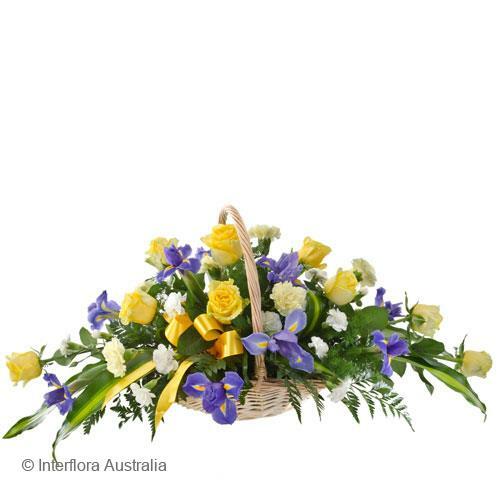 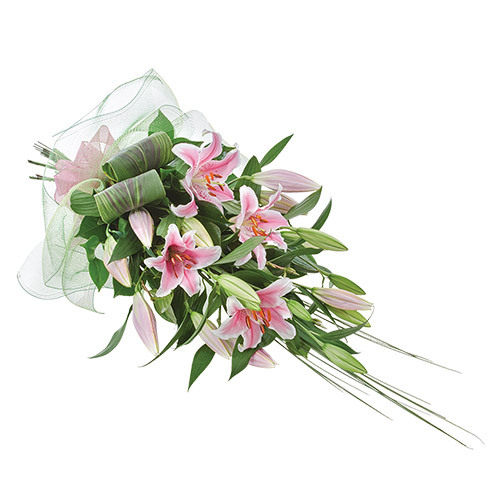 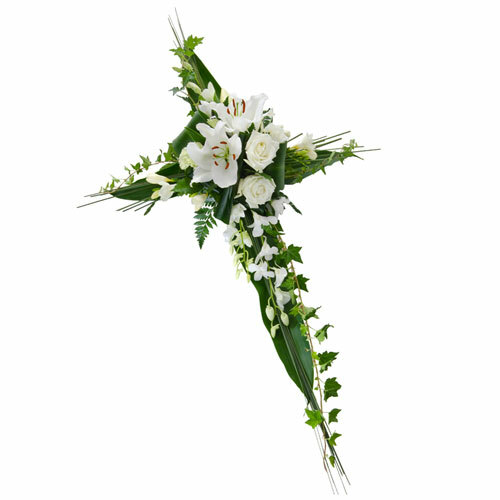 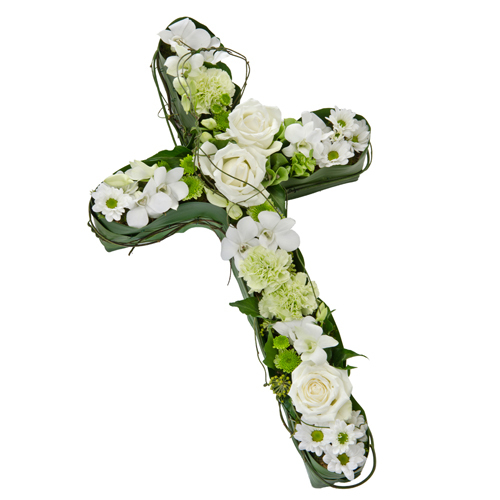 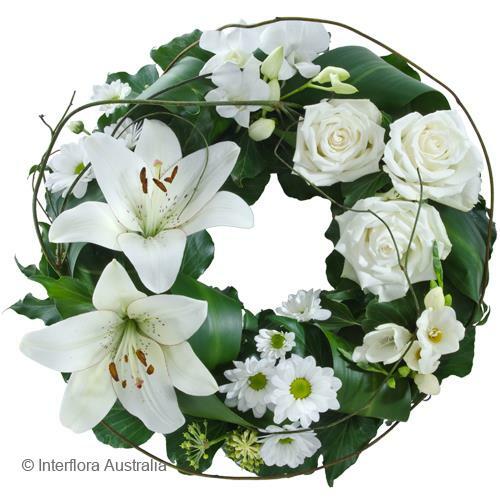 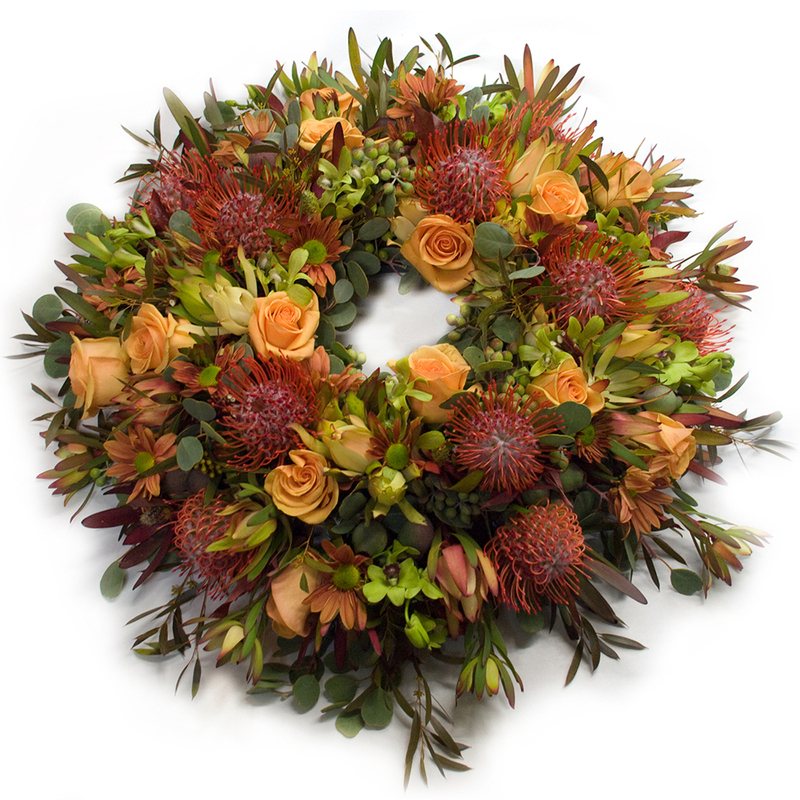 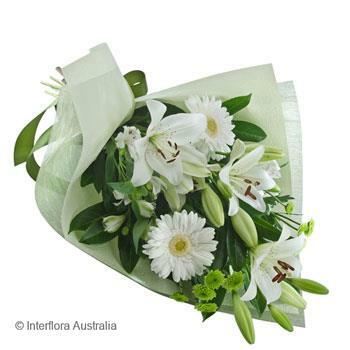 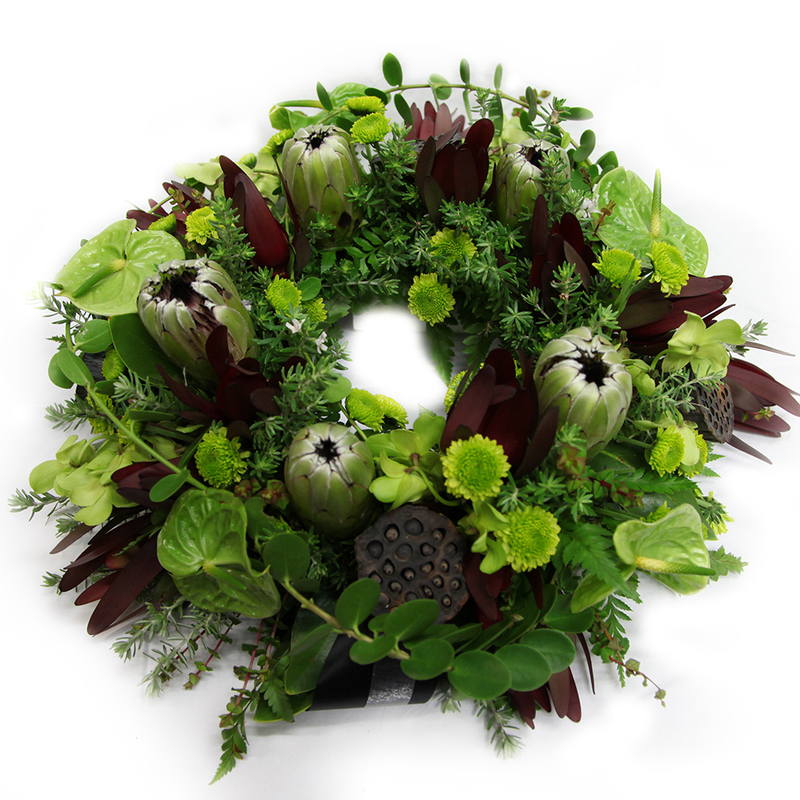 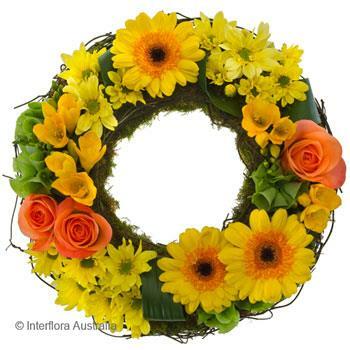 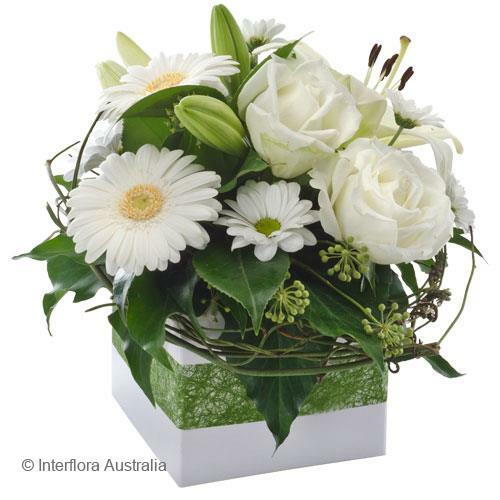 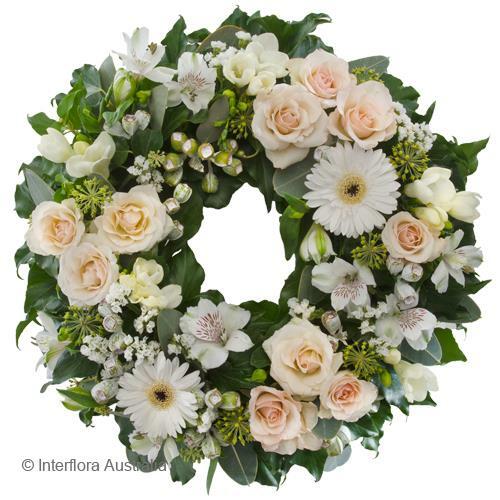 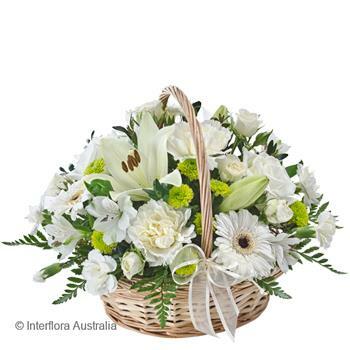 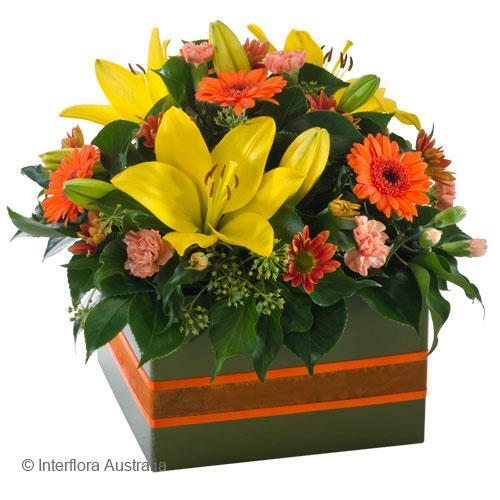 Our sympathy and funeral range includes both modern and traditional flowers suitable for home delivery or for delivery to the service. 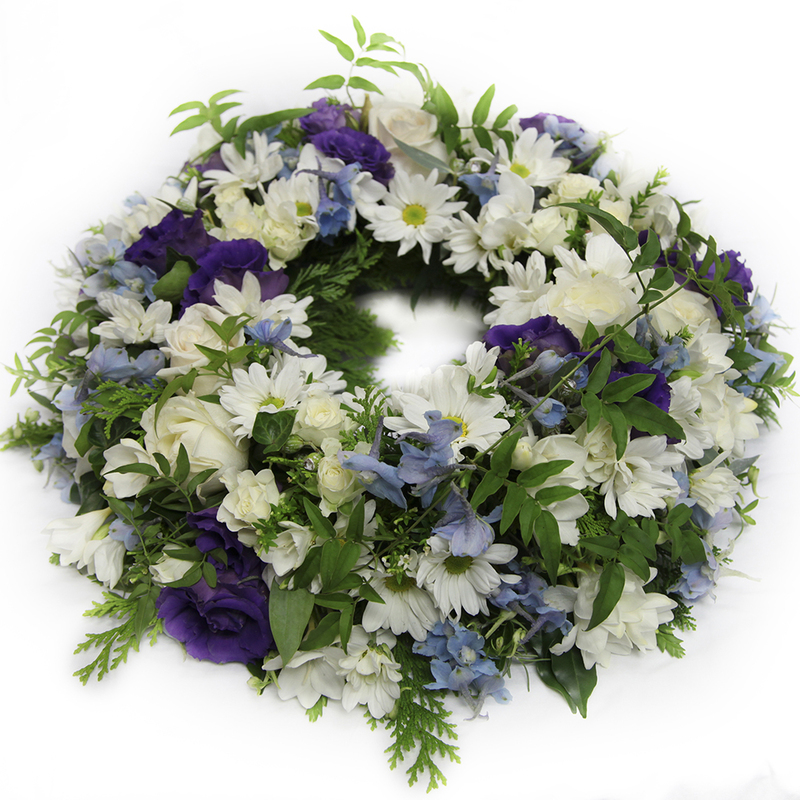 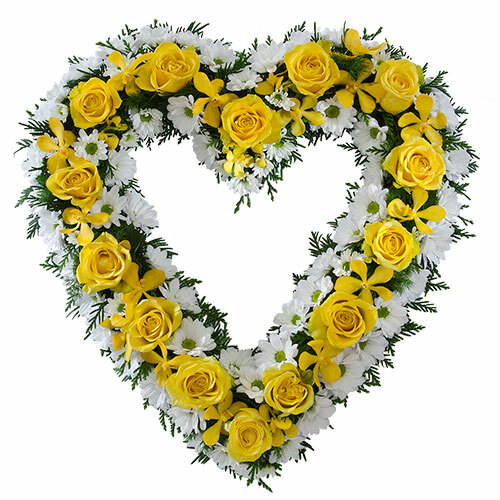 If you want to talk to us to discuss flowers specifically for the funeral casket, please let us know, we will take the time to create a lasting memory, in blooms to suit the personality of those whom have been lost. 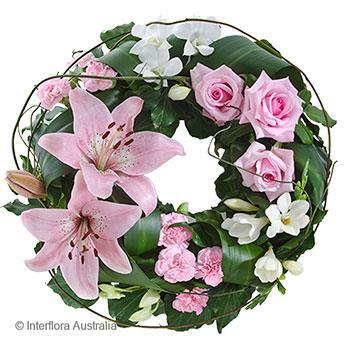 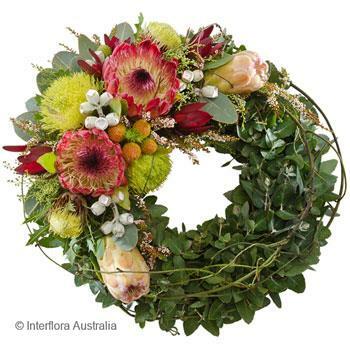 Our wreaths are constructed on a plastic "O" ring base, lined with floral foam, that has been soaked in water. 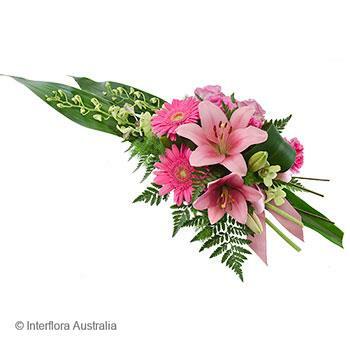 This provides you with a product that can be moved easily and has its own water source, but please try and keep them cool so they look their best for longer. 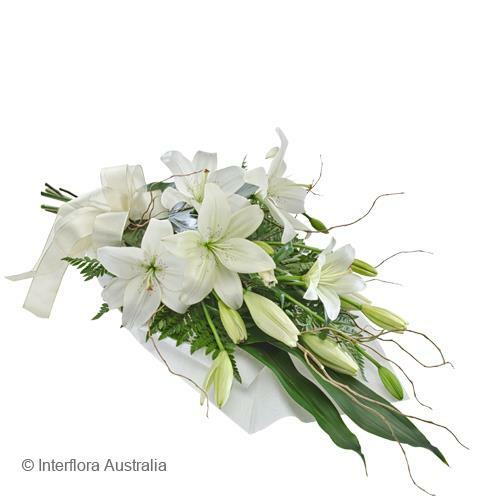 Casket tops, are a very personal item and because of this we don't have the products displayed on our website. 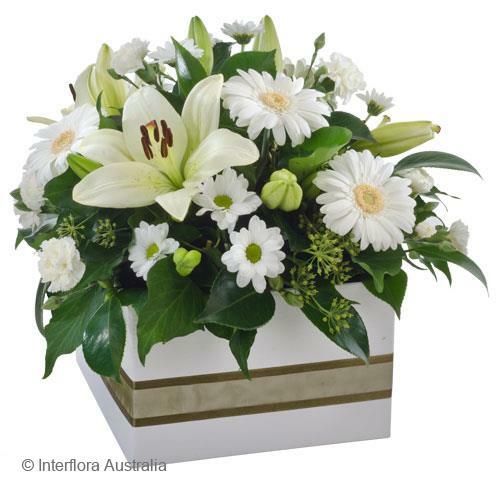 We take the time and effort to lovingly prepare each casket top to the requirements of the individuals. 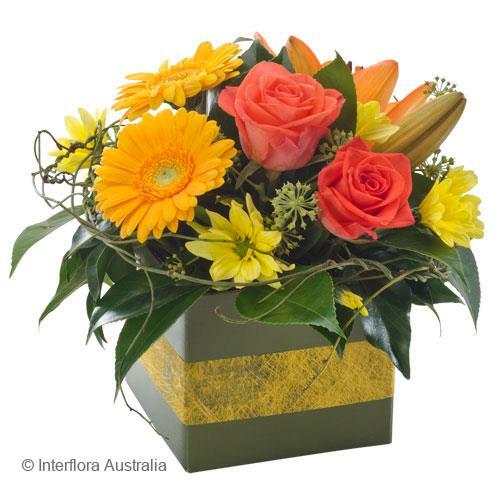 These can be done in a range of sizes and colour schemes. 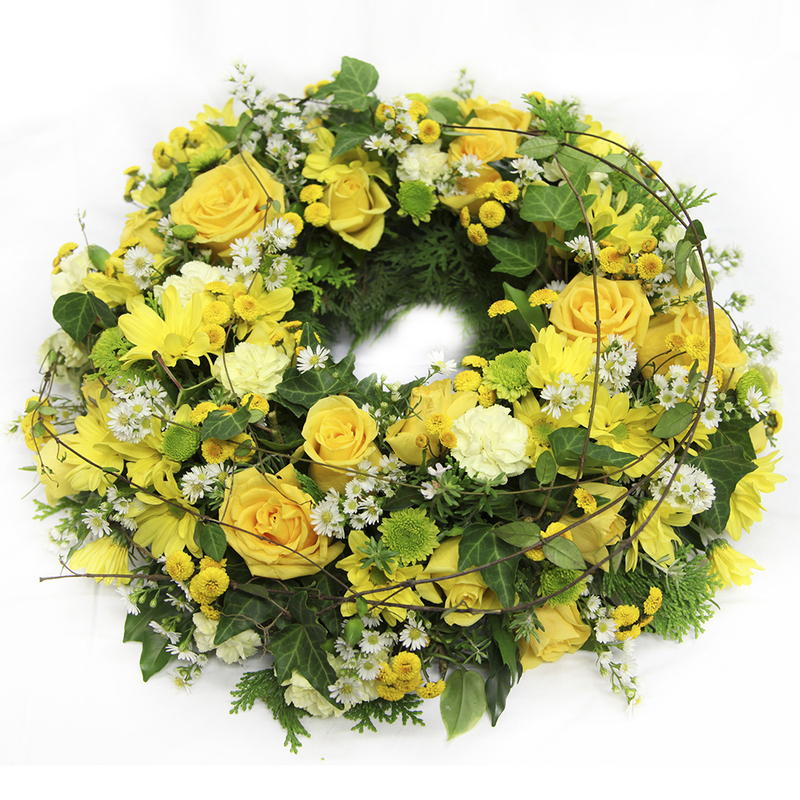 Please note that these can be tricky to transport, so if collecting yourself please ensure your have a suitable vehicle or we can arrange delivery for you.